Ol’ Snap appeared. 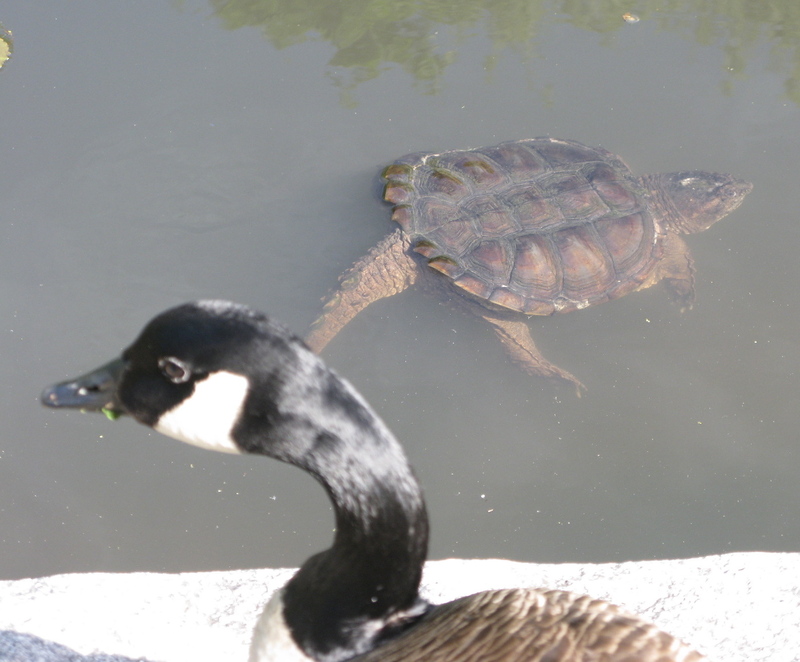 Not the kind of turtle to run when you approach. Chelydra serpentina has a fearsome reputation, but that’s probably just bad PR. (Duckling-centric PR, since they are in legend supposed to decimate baby ducks.) Still, you don’t want to get bit by the thick-necked beast. This carapace is beautiful. 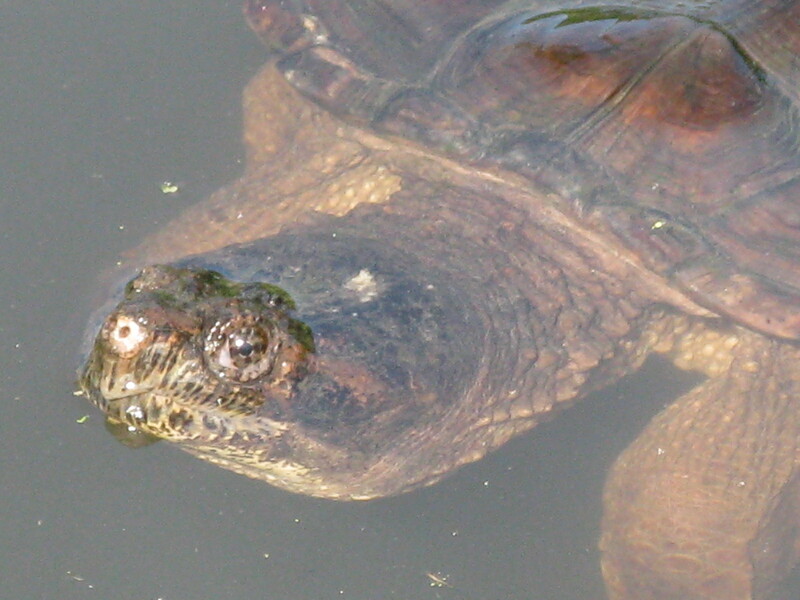 Another anatomical fact about snappers is that they have very small plastrons (underside shell). 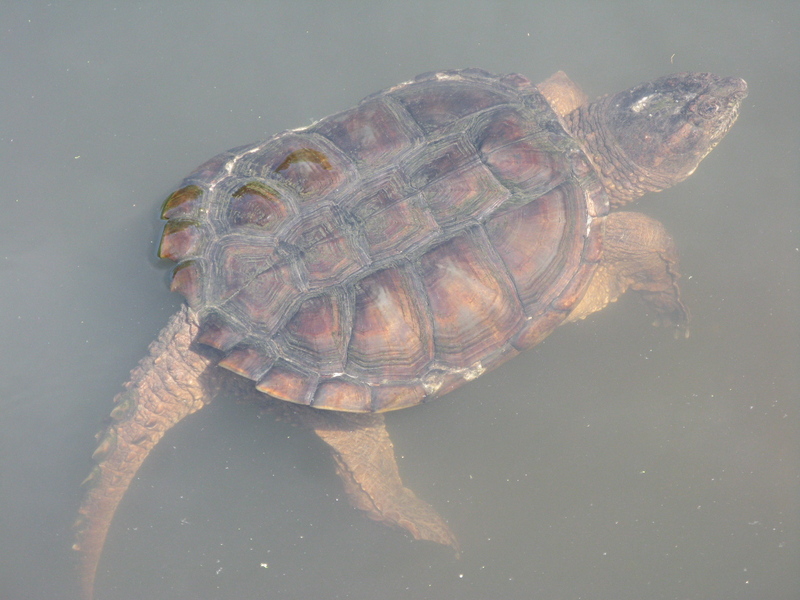 These turtles do not bask, so it was nice to catch this one emerging from the murk below. gosh, I’ve never seen the tail (or maybe I’ve forgotten) but it does make the turtle appear even more pre-historic than most. 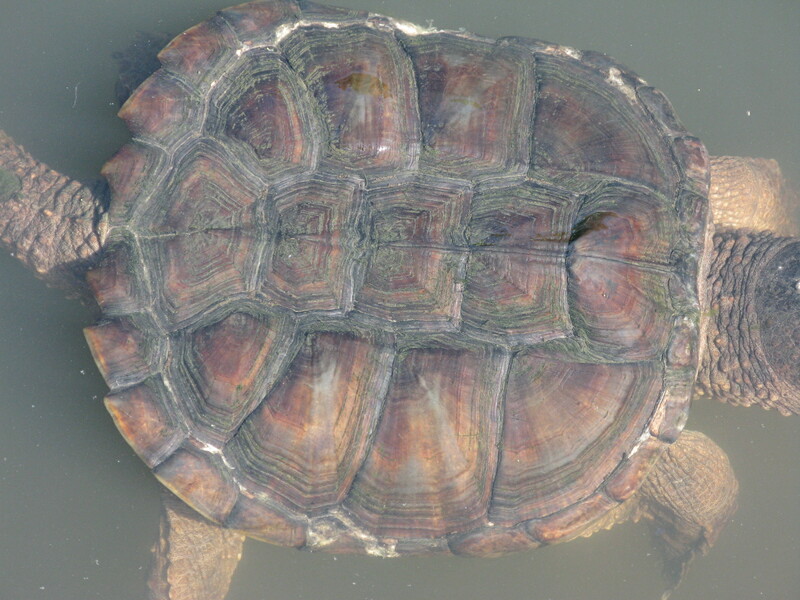 It is great to have the chance to look at the beautifully colored and patterned carapace in your full-resolution images. Look at that thick neck – could be a linebacker! Yes, this is a surprising clean carapace, considering the muck this one spent the winter in. All the water is Prospect Park is city water, which means it’s clorinated, and I wonder if that cuts down on the watery flora you often see attached to turtles? I bet you’re absolutely right about the chlorinated water.